National University of Life and Environmental Sciences of Ukraine provides a unique opportunity to obtain double degree diploma simultaneously at NUBiP and another foreign university. 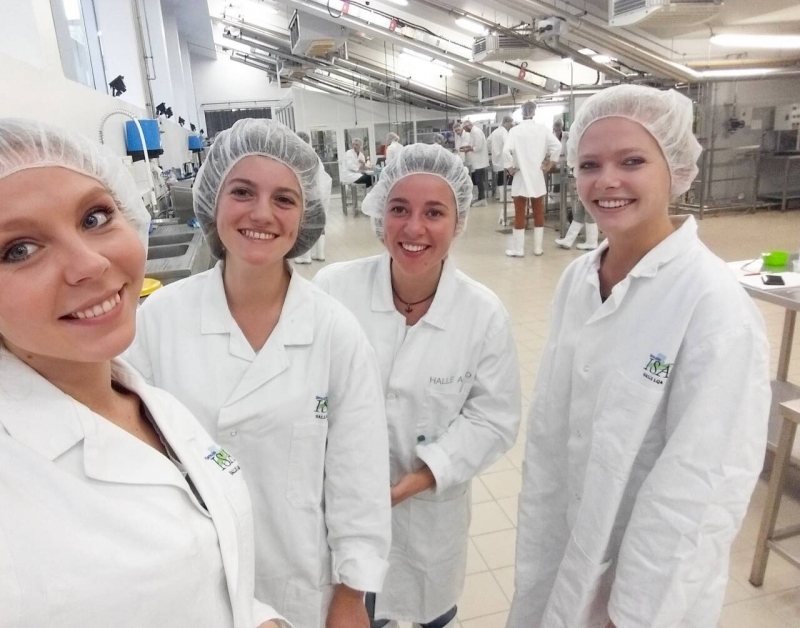 Second alma mater for master students of the Faculty of Food Technology and Quality Control of Agricultural Products is ISA Lille (France), where students study under ERASMUS + exchange program (Food Sciences speciality). Here is their story about some peculiarities of the education process. First weeks were pretty difficult for us. First of all, because all disciplines were taught in foreign languages: French and English. Although all of us had had the experience of foreign internships conducted during previous years of study, it was somewhat difficult to perceive the material in another language. 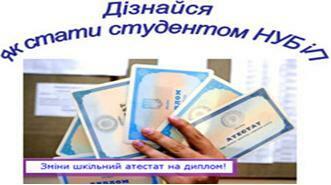 Moreover, education systems in Ukraine and France have a number of differences that we would like to focus on. First and foremost, French system of general education, curriculum and exams differ from those in Ukraine. All Ukrainian universities use the following system: during the semester, we study different disciplines according to the schedule unified for the whole group, and in the end, we have an examination session (a period specially assigned for passing credits, examinations and for the defense of course projects). In France, students simultaneously study 2-3 disciplines, which they have chosen themselves from the list. Each discipline is taught on a particular day of the week. Therefore, each student has his/her own schedule. At the end of each course, an exam is completed. That is, we passed exams in two disciplines in October, defended the course project in November, and the final three examinations were held in December. In our opinion, Ukrainian examination system is much more convenient (our French teammates agreed), because we can concentrate on one discipline, repeat and systematize the knowledge. It is very tiring to pass an exam at 16.00 after having several classes on a completely different subject. Secondly, the assessment system is also different. In Ukraine, we use a unified assessment system for all disciplines: 70% of the grade is determined by the student’s work during the semester, and 30% is defined by his/her exam grade. In France, this ratio is determined by each teacher at his/her own discretion. In addition, project work usually amounts up to 30% of the final grade. Projects are conducted in groups of 3 to 5 students. This approach has its advantages and disadvantages. On the one hand, we learn to work in a team, which is quite an important skill for our future employment. On the other hand, the grade is one for the whole group regardless of who worked harder and who did less. As for the quality of the knowledge gained in Ukraine, we are extremely glad to confirm the falsity of the stereotype of inferiority: NUBiP of Ukraine has remarkable material resources and professional teachers. We felt confident working alongside our counterparts from other countries. Our knowledge is thorough and gives us the opportunity to participate in discussions and various projects. Studying abroad provides us with the opportunity to obtain new experience, improve language and communication skills, and make a significant step towards our future professional career. We thank the management of NUBiP of Ukraine and the Faculty of Food Technology and Quality Control of Agricultural Products for this amazing opportunity.